I titled this post "The Garbage In You" to examine the garbage that's been dominating in one's life and what does she/he do about it. This issue is not new but around here, it's different altogether. 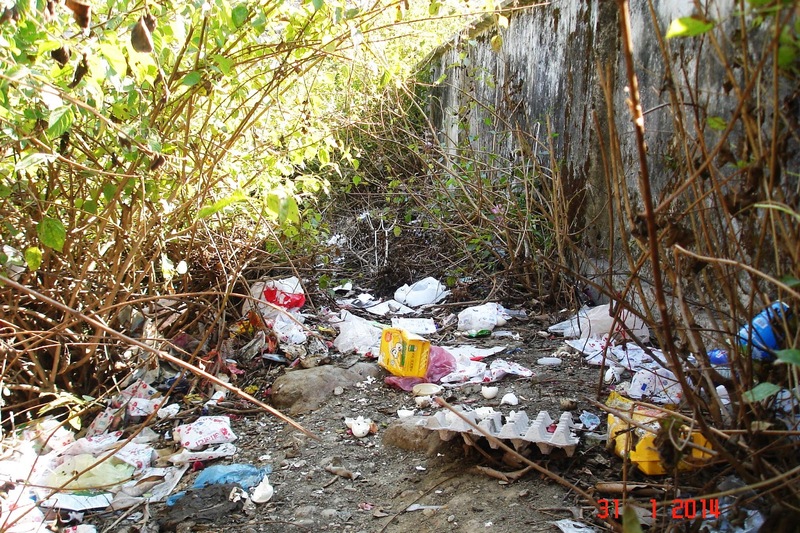 You'll find someone removing all the dead leaves in a vacant lot because they look unpleasant to the eye but the wrappers, bottles, plastics, etc. just right at their noses are "natural" sites to them. Instead of planting vegetables and plants, they are scraping the ground. Instead of planting more trees they cut what's already there. See the picture above? I couldn't help myself but label it because I couldn't comprehend the thinking behind this act. One side, people worship god and on the other side they don't bother to protect and preserve what's god's? A thinking that is beyond any sane mind could fathom. In this picture is another dumping ground! It's right outside the fence of a campus where so called "protectors" of the Himalayas live but witness how stupid and apathetic they turn out to be. Just because it's not "in" and "within" the campus, it's okay to dump their waste there? As long as they can't see it, their premises are clean? Just because it's thrown outside their fence, the garbage is no longer theirs? Is that the mentality here? Well, I believe so! See this picture on the right? That's exactly what I am saying. So when you think that what's yours is defined by a fence or a border, this is what you do. Dump your garbage to another place, a little farther from "your" place and be happy about it. But once you realize that the whole earth is yours, you will never do this thing and you will act on how to stop destroying the only planet we have. It seems that for these people, the idea of reduce, reuse, recyle and composting is never heard of, or if heard of, just in passing. I now wonder what kind of institution does this, what kind of learning or awareness parents do have of their own to impart to their children and what kind of learning the kids are gaining from their schools because they don't seem to have any awareness regarding these issues. A few times I talked to some 8 to 10- year old kids on proper waste management hoping something gets into their head. After all, that's all I can do -educate! But no matter how much education is given if the other is not willing to take it, if the education itself is not re-inforced properly...it never gives better results. I might even end up being tagged as a mad woman or crazy perhaps for giving them such ideas. 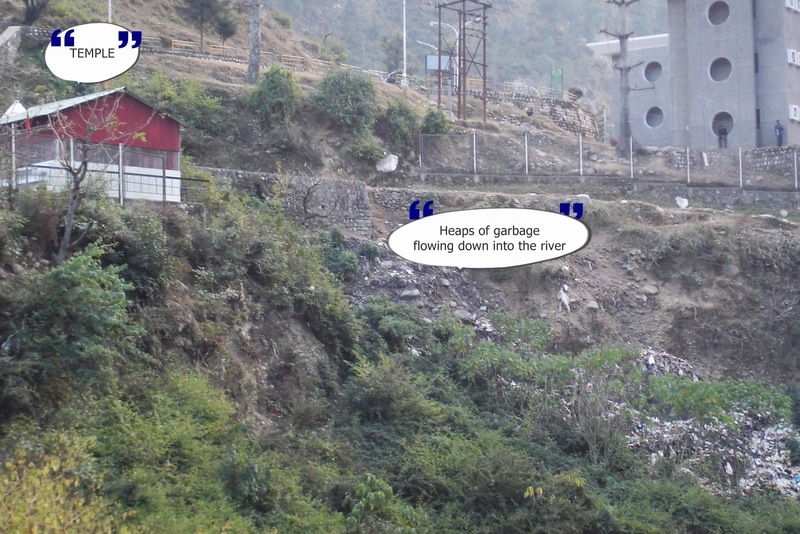 Another time I read from a newspaper a statement on cleaning drive that is going on in the dry rivers of Dehradun. It came from a public official. 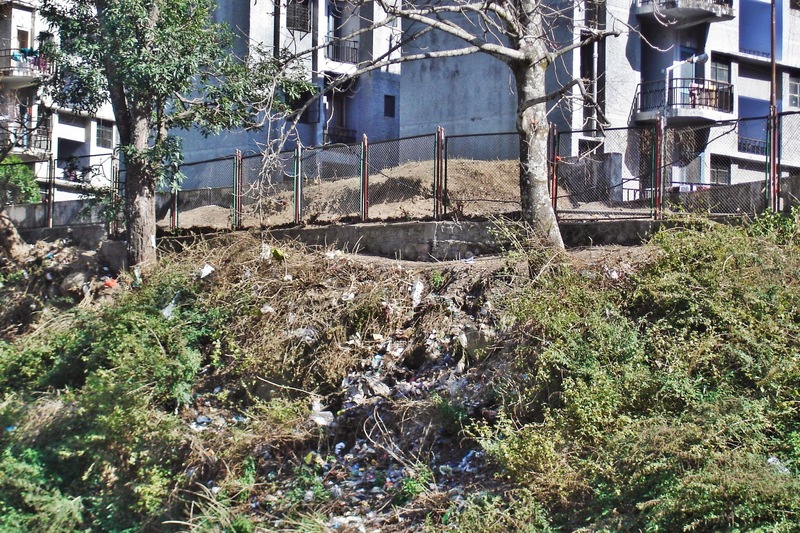 Because it turned out to be a long and difficult task, this cleaning of the dry river in Dehradun, he stated that "there's no need to remove the garbage, (mainly plastics, that are in plenty in the river) because come rainy season the rain would eventually clean it". The stupidest remark I have ever read in a long time. Well, it's not the exact word for word but you get the idea. But having such kind of official in a position what else can be expected? Whew! I just hope that reading this gives you the drive to do something of your own...to better the world.